nervous we're likely to have a good many of them around ... some of the time. Dawgone, I'd like to be helping you bind those Life magazines. I get a big kick out of doing things like that. You might save those "Time" magazines. We will be getting quite a houseful of stuff though if we save all magazines. Your mention of No. 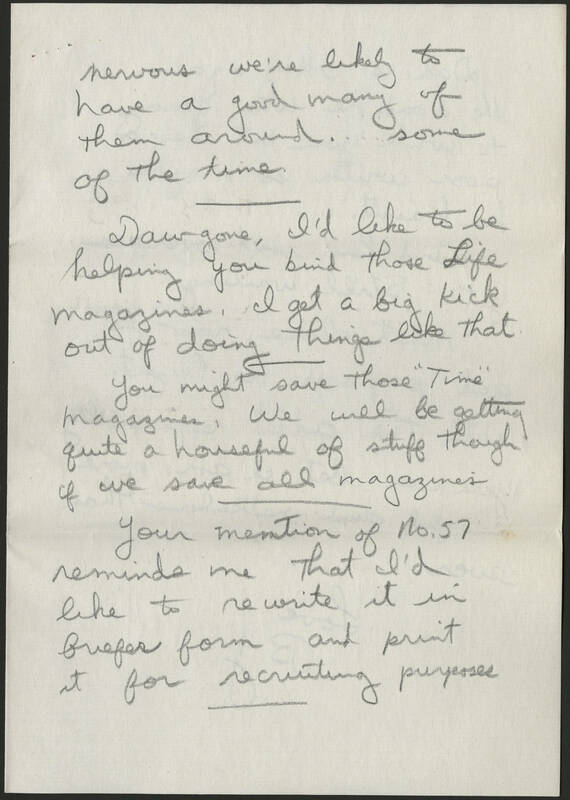 57 reminds me that I'd like to rewrite it in briefer form and print it for recruiting purposes.